Johnny Quintanilla (1988, American) was born in the Lincoln Heights neighborhood of Los Angeles. He is a pop-surrealist with strong non-linear narrative compositions that pay homage to his cultural heritage while embracing the urban pop style developing in our city. 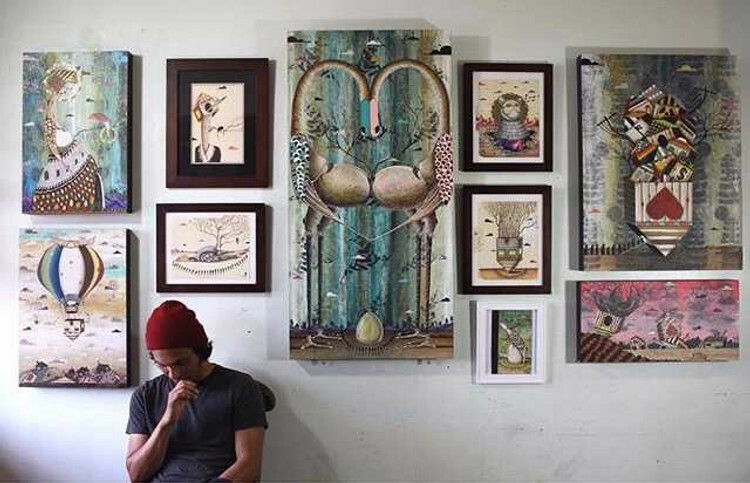 His illustrative style is layered in analogies, symbolism and a deep seated spirituality.